Book a ferry to Nador with AFerry. Ferries to Nador, in Morocco, are available from France and Spain. You can take a ferry to Nador from Almeria, Barcelona, Motril and Sete. Ferries to and from Nador are operated by Balearia, Grandi Navi Veloci, Naviera Armas and Trasmediterranea. Because 4 ferry companies operate in and out of Nador, comparing can be very useful to help you find the best price at the best time for you. When you search for a ferry to Nador, we will always show a range of times just in case it's cheaper earlier or later than the time you select. We'll also show you results for similar ports like Al Hoceima, Melilla and Tanger Med to help you find the best times and prices to suit your plans. Ferries with Balearia and other companies operating to and from Nador are known for their comfort and high levels of service, and you will feel like your holiday has begun the moment you step on board. Travelling to Nador will be easy and hassle free. Start by making your booking today, it's quick and easy. 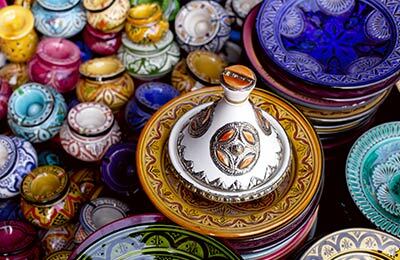 30% Discount on return bookings to Morocco with GNV! Book by 30/04/2019. Travel from 01/05/2019 to 30/06/2019. Limited availability, book soon. Routes: Sète-Nador, Barcelone-Nador, Barcelone-Tanger Med, Sète-Tanger Med, Gênes-Tanger Med. Nador is a popular port and a major trading centre for fish, fruits and livestock. Nador has a small fishing port and is connected with the Spanish Enclave of Melilla by a motorway. There are also a small number of restaurants and hotels. Nador is believed to be founded by the Berber Civilization. It was later ruled by the Phoenicians, Romans, and the Arabs. For bird and wildlife enthusiasts this a great place to visit. The coastal road from Nador to Al-Hoceima passes through red cliffs, verdant gorges and an enormous sculpture of deeply eroded hills. The corniche by the lagoon is pleasant to walk. 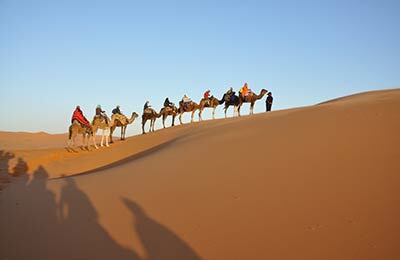 There are good transport links in Nador, with an airport, a ferry port and a train station that has a service to Fez. Trasmediterranea has a fleet of modern air conditioned ships that are designed so that passengers feel their journey is a part of their holiday. On board their ships, in addition to a range of cabins and seating, you will find swimming pools in the summer months, bars, restaurants, cinemas and even discos. Nador port has a large passenger terminal which is connected to the quays by a vast network of covered walkways. As Nador is located close to the Moroccan national road network, access could not be easier. Nador has limited train connections to the rest of Morocco. Nador is linked by bus to most major cities within Morocco. 6 hour delay on our way to Nador. No communication. Chaos during boarding. On our way back we missed our ferry. However with great effort and kind understanding we were scheduled on the next ferry only 2hrs later. Check in was fast in the admin office in Almeria, a little late loading with the car but OK. Left a little late but still arrived on time (ish) Cabin was really dirty, but my bunk was clean. The ferry was very old, however, it got me there..... 200.00€ was too much for this crossing and service and age of boat. Boat full of Moroccans returning home or visiting family. Very few Europeans on board. but did the job, warn your girlfriend or wife before booking this crossing. Boat was 3 hours late - was due to sail at 23.00 ( April 2012), great crew old boat, but clean, got a passport stamp/ visa on board to save time in Nador, not a bad route for getting to my work place in Saidia with a car. Had a really terrible crossing, check in was closed at 9am when ferry left at 10 no information on how to get our tickets so had to follow other people to self service machine. Boarded the ferry without a baggage or passport check which I thought was quite worrying then couldn't get anything to eat or drink because there was only one member of staff on and hundreds of people. Reception staff and porters were really helpful and friendly and told us where to put our bags and go to sit. When ferry finally left an hour late it was the worst crossing I have ever experienced, 7hrs (not 5) of stomach turning, there was vomit everywhere you looked. When we got to the other side whe were all told to go to the exits but were locked in standing with our luggage for another hour! I would not recommend this crossing to anyone unless there was no other option.